Many pastors say “I want this church to turn around”, when what we really mean is “I want this church to get bigger.” Those are two different goals. Leading an existing church through a turnaround from unhealthy to healthy is one of the hardest tasks a pastor will ever be called to do. And it’s even harder when we’re trying to do so without understanding some basic principles needed for a successful turnaround to take place. Here are four common, fundamental realities that are often unknown or ignored by pastors trying to turn a church around. Why do we use the word “turnaround” if we don’t want anything to change? Bigger is not a turnaround. It’s just more. Sometimes numbers are the least important factor in determining a church’s health. They can even be a false proxy that deceives us into thinking we have health when we don’t, and vice versa. We need to be ready for things to change. That’s what “turnaround” means, after all. If you and the church are not ready for change – for a lot of changes, actually – you’re not ready for a turnaround. 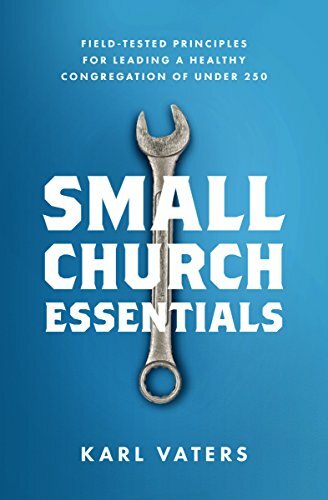 Yes, when a church gets turned around from unhealthy to healthy, it may mean changing your order of service, your music, your clothing style and other facets of your church’s culture. If you want a real turnaround, everything outside the core biblical principles needs to be up for grabs. But singing Chris Tomlin songs to guitar and drums, instead of Charles Wesley hymns to organ and piano is not a turnaround. No matter how spiky the worship leader’s hair is. Turnaround happens in the middle ground of attitudes, methods and systems. It’s deeper than a new church logo, but it should re-affirm, rather than challenge eternal biblical principles. When we did a multi-year turnaround at the church I now lead, we stripped everything back to almost nothing before we started adding things. It’s easier to see your real needs when you have nothing. When the calendar is filled with events we’ve gotten used to, it’s harder to know if they’re really necessary.